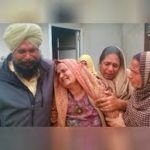 Rifleman Karamjit Singh hailed from Moga district of Punjab. 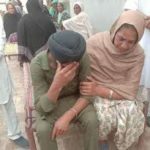 Son of an Army veteran Avtar Singh and Smt Kulwant Kaur, Rfn Karamjit Singh was the youngest among the four siblings that included two elder brothers and an elder sister. 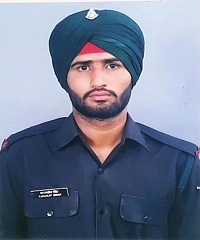 Rfn Karamjit Singh had inclination towards the Armed Forces since his younger days and joined the Army in 2015, after completing his schooling. He was recruited into the 18th battalion of Jammu & Kashmir Rifles, an infantry regiment known for its intrepid soldiers and various battle honours. 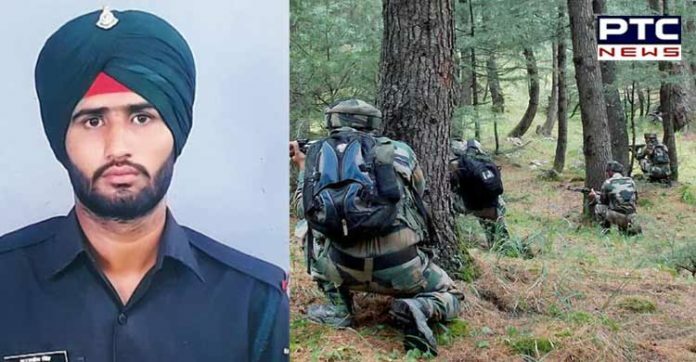 During March 2019, Rifleman Karamjit Singh’s unit 18 JAK RIF was deployed in the Sunderbani sector near LOC in Rajouri district and was manning the forward posts. 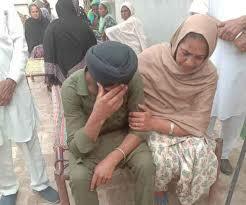 On 18th March Rfn Karamjit Singh was deployed at the forward post of Keri area in Sunderbani Sector. This sector near the LOC remained very restive and volatile as the enemy forces often resorted to unprovoked firing from across the border. At around 5: 30 AM on 18th March, unprovoked ceasefire violation was initiated by the Pakistani forces in Keri area of Sunderbani sector. Pakistani forces were using heavy artillery guns and mortars to pound the Indian positions. Indian army retaliated strongly and effectively resulting in cross border firing lasting for several hours. 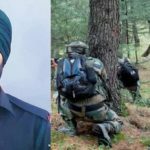 However during the exchange of fire, Rfn Karamjit Singh got injured severely and was shifted to the nearby military hospital. He later succumbed to his injuries and was martyred. Rfn Karamjit Singh was a disciplined and committed soldier who sacrificed his life for the nation at the young age of 24 years. 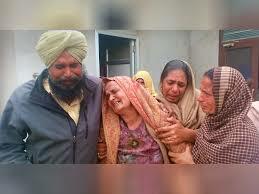 Rfn Karamjit Singh is survived by his father an Army veteran Avtar Singh , mother Smt Kulwant Kaur, two brothers, and a sister. 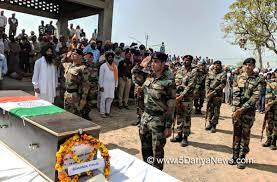 Rfn Karamjit Singh was cremated with full military honours at his native village Janer in Moga on 19th March 2019. 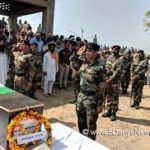 Hundreds of people from adjoining areas came for the cremation of the martyred rifleman. Rfn Karamjit’s father Avtar Singh and elder brother Swaran Singh lit the pyre after a gun salute by an Army contingent led by Captain Gokul Ashok from 18 JAK RIF, a regiment to which Rfn Karamjit Singh belonged.